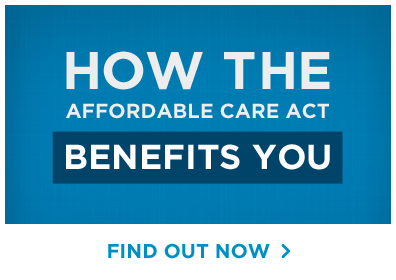 Here are three reasons why you should support Affordable Care Act. Regardless of your political beliefs, the Affordable Care Act, more frequently known as Obamacare, is necessary for your health and well-being. More Americans support the Affordable Care Act and its individual provisions than Obamacare, despite the fact that the Affordable Care Act and Obamacare are the exact same thing. Obamacare was named after the President as partisan smearing by the Republicans even though former Presidential-nominee, Republican Mitt Romney was instrumental in the formation of it. He based the Affordable Care Act on the health care system he implemented in Massachusetts as Governor. Democrats have since embraced the term Obamacare since President Obama promoted and ultimately signed the Act into law. I will be using the terms Obamacare and the Affordable Care Act interchangeably since they are the exact same thing. 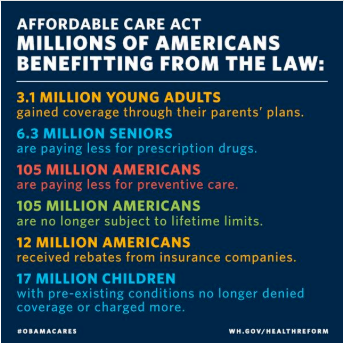 The Affordable Care Act lays out all of the benefits, rights, and protections of Americans who have or want heath care. It decreases out-of-pocket spending while increasing the quality and availability of public and private health insurance. According to the White House, the uninsured rate has declined from 43 percent in 2010 when Obama signed the bill, to 9.1 percent in 2015 – that is tens of millions of Americans now covered. CNBC reports that if Congress and a future President repeal the Affordable Care Act, 24 million people would lose health insurance by 2021 – which means more people would be uninsured in 2021 without Obamacare, than in 2013 – the first year Obamacare went into effect. Young adults can remain on their parent’s/guardian’s health insurance until they are 26 years old. Anyone under the age of 26 is guaranteed health insurance regardless of health care provider, marital status, or occupation. This is a high relief and cost saver to youth under the age of 26 because health insurance can be expensive and confusing. Through this provision, any trips to the ER, prescriptions, or doctor’s appointments are covered at no cost to you. If you are a college student, you often do not think of emergency care or doctor’s appointments without a reminder from your parents. With the Affordable Care Act, you do not have to worry about paying for all of it, there may be a $20 to $40 co-pay, but depending on your premium, you may get that money back. Without insurance, you would have to pay for the $200 emergency room visit or the $1,000 MRI – money adds up very quickly in the medical field – money that college-aged students do not have. 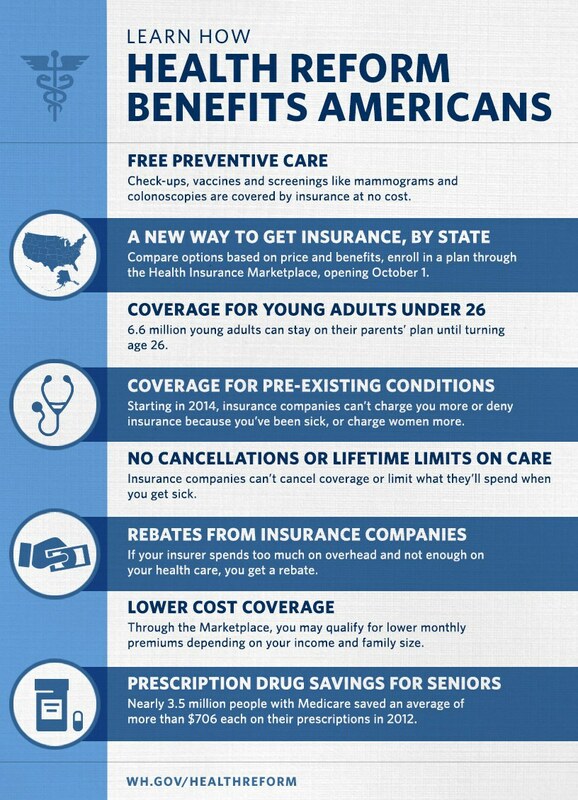 Anyone with a pre-existing condition cannot be denied coverage or given higher premiums. Adults with pre-existing conditions who did not have coverage prior to the Act being signed in to law, were given temporary coverage until the Act went into effect. Additionally, anyone under the age of 19 cannot be denied coverage or given higher premiums to pay if they have pre-existing conditions and insurance agencies cannot refuse to cover a child under a parent/guardian’s plan due to a pre-existing condition. This is great for anyone who has a chronic health conditions such as chronic pain, heart conditions, mental health conditions such as depression, Multiple Sclerosis, diabetes, etc. because you cannot be denied health care coverage. Women are treated equal! Women and men now pay the same amount for health insurance and health care services – prior to the Affordable Care Act, women were charged higher rates simply because of their gender. The Act allows free preventative health tests, treatments, screenings, and measures for women including domestic violence screenings, well-woman visits, and breast-feeding supplies. If you have any questions about which politicians support and oppose Obamacare or the Affordable Care Act, do some research or you can tweet me @Taylor__Cain and I can help you. The easiest way to search your United States Senators and Representatives is to go here. Click your state, click on the pictures for your Senators and Representatives, and scroll down to see a green thumbs-up or a red thumbs-down. Green means your elected official has voted for bills with support the Affordable Care Act and it amendments. Red means you elected official is trying to get rid of the Affordable Care Act and all its benefits.